Lindsey came and picked me up for lunch today. 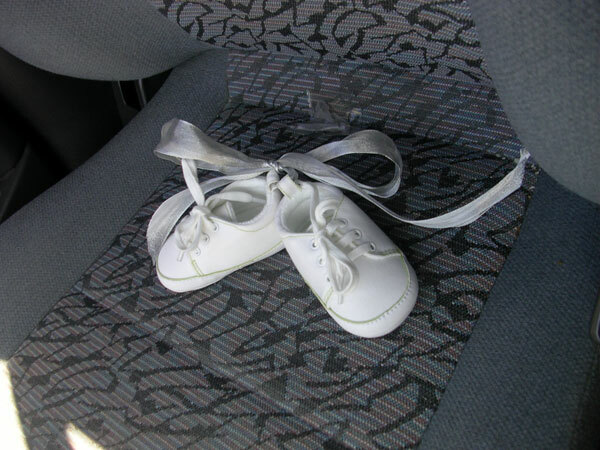 When I went to get into the car there was a pair of baby shoes sitting on my seat and Lindsey was grinning ear-to-ear. I didn’t need any more explanation. Lindsey was pregnant! It was probably the most exciting lunch conversation we’ve ever had. Posted in avery	| Comments Off on Lindsey has News!